Anne Coray’s poetry collections include A Measure’s Hush, VioletTransparent, and Bone Strings. 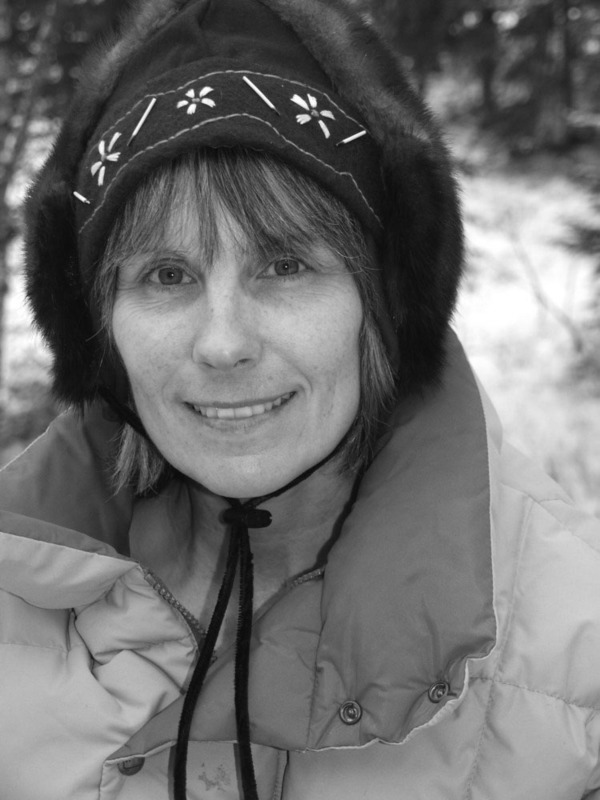 She is coauthor of Lake Clark National Park and Preserve and coeditor of Crosscurrents North: Alaskans on the Environment. Her poetry has appeared in theSouthern Review, Poetry, North American Review, Connecticut Review, the Women’s Review of Books, in several anthologies, and on the Verse Daily web site. She has been a finalist with White Pine Press, Carnegie Mellon, Rooster Hill Press, Water Press & Media, and Bright Hill Press. Twice nominated for the Pushcart and the recipient of grants and a fellowship from the Alaska State Council on the Arts and an Individual Artist Project Award from the Rasmuson Foundation, she lives at her birthplace on remote Qizhjeh Vena (Lake Clark) in southwest Alaska. against a backdrop of indeterminate blue. Look—what if we’re going nowhere? spiral into a print that seeks no resolution. or when on earth their shining will ever be seen.